Tara Ostrowe, MS, RD is a registered dietitian, nutritionist, and exercise physiologist with a private nutrition counseling and consulting practice in Manhattan for adolescents, adults, sports teams, and small businesses. Since 2000, Tara has helped clients with a wide range of nutritional needs enhance their athletic performance, improve their physical and mental health, and make positive lifelong eating and exercise behavior changes. From professional athletes, college students, and actors, to working professionals, teens, fashion models, and pregnant moms, Tara has helped a wide range of clients reach their short and long term nutrition goals. As a nutrition expert, Tara has written articles for and been quoted in many publications, websites, and televised programs such as Cosmopolitan, Seventeen Magazine, Dr. Oz Show, Stack.com, Teen Vogue, Redbook, Reader’s Digest, WebMD, Scholastic News, Tweens & Teens News, NBC News, ABC Nightly News, ABC’s New York Viewpoint, and WB 11 News. She presented on the treatment of eating disorders at the Society of Adolescent Medicine conference and co-authored an abstract for the National Cardiovascular Health conference roundtable. She is a member of a monthly supervisory eating disorder group comprised of accomplished physicians and therapists who all specialize in the treatment of eating disorders. Tara has also given talks on an array of nutrition topics at colleges, health fairs, hospitals, health and community centers, and private and public schools throughout NYC. 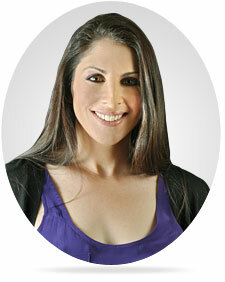 Tara is the team sports nutritionist for the New York Giants football players and staff. She has provided performance nutrition services for the Giants since 2010, and worked with the 2011-2012 Super Bowl Champions team. As the New York Giants Team Nutritionist her duties include individual nutrition counseling and nutrition plans, team sports nutrition presentations, and assisting the team catering staff. Ostrowe also works with professional soccer players. She is the New York Red Bulls Team Sports Nutritionist and worked with the 2013 Major League Soccer Supporter's Shield Champions. She provides team nutrition counseling to the entire team and plans the team meals for away and home games. In January 2014, Tara began working as the team nutrition consultant for the Ligue 1, French football team, AS Monaco FC in the Principality of Monaco. There she works very closely with the entire team and staff to provide the nutrition and wellness aspect of the performance goals for this top level team. In addition to maintaining her private nutrition practice and working with sports teams, Tara is a nutrition consultant for Organic Religion, a cold pressed juice company based in Moscow. She helped create the juice recipes, and nutrition content for the company. In the past, Tara provided nutrition counseling at Health Services at Columbia University from 2007 until May 2014. She was also the sports nutritionist for Columbia University Athletics for the 2011 and 2012 school years. There she worked with Columbia University Student Athletes on all 29 CU athletic teams. She worked with athletes individually and as a team and helped plan pre and post game meals. She assisted Columbia University student athletes to achieve peak performance by providing individual and group nutrition counseling and by giving team presentations." Additionally, Tara was the nutritionist at the Barnard College Student Health Services for two and a half years. At Barnard she counseled students, was a member of the multidisciplinary eating disorder team, and conducted healthy eating presentations. Prior to working at Columbia University and Barnard College, Tara worked for over six years at the Mount Sinai Adolescent Health Center in Manhattan. As the senior dietitian, she provided individual and group nutrition counseling to adolescents. She also helped create the Nutrition and Wellness Program for eating disorders and weight management, led weekly nutrition and exercise groups, and frequently gave nutrition talks to the medical staff and patients. Tara earned her Master of Science degree in Applied Physiology and Nutrition from Teachers College, Columbia University, where she also completed her dietetic internship. As part of her graduate studies, she gained clinical nutrition experience at New York-Presbyterian Hospital/ Columbia University Medical Center and contributed to a child obesity research study at St. Luke's- Roosevelt Hospital. Tara received her Bachelor of Science degree in Dietetics from the University of Wisconsin-Madison. As a student sports nutritionist for the University of Wisconsin Athletic Department, Tara worked with the University of Wisconsin 1999 Rose Bowl Champions football team. She also analyzed athletes' diets, planned meals and supplements, and helped create a sports nutrition handbook and a recipe book while working at Wisconsin Athletics.